The cream in the soup tempers most of the jalapeño’s heat, but you can still taste its bright, fresh flavor. In a heavy 4-qt. saucepan or Dutch oven, cook the bacon over medium heat, stirring occasionally, until browned and crisp, about 8 min. Transfer the bacon to a small dish lined with paper towels, leaving the fat behind in the pan. Add the shallots and 1 Tbs. of the jalapeño to the bacon fat and cook over medium heat, stirring occasionally, until the shallots are softened, about 2 min. Add the flour and cook, stirring, for 1 min. Gradually stir in all the clam juice (from the cans and the bottles). Add the cream, potatoes, and thyme, and bring to a simmer over medium-high heat, stirring occasionally. Reduce the heat as necessary and continue to simmer, stirring occasionally, until the potatoes are tender, about 10 min. Add the whole fish fillets and cook for 3 min. Stir in the clams and continue stirring until the fish has broken into chunks. Cook until the fish is cooked through and the clams are heated, about another 2 min. Season the soup to taste with salt and pepper. Portion into warm soup bowls and sprinkle each serving with the reserved bacon and the remaining jalapeño. Made this today, when we had a high temp of 10 degrees. Fantastic! I loved the little bit of heat from the jalapeo. Certainly hit the spot! I made this chowder this weekend for my kids and I and found it to be very flavorful and simple to prepare. 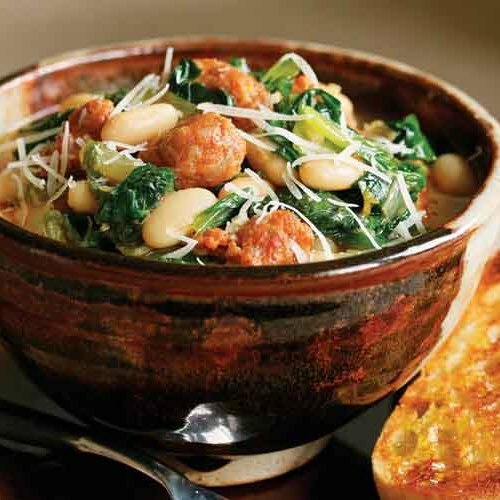 This recipe, as has been mentioned, is a great base for a variety of seafood/shellfish choices. We will definitely be making this again. Thank you! 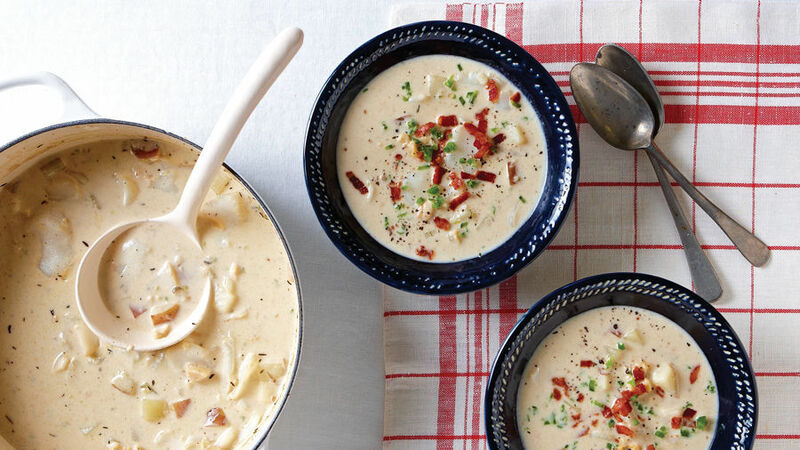 This recipe makes a great base for creating your own seafood chowder. I enjoy it better without the Jalapeno (although it adds a nice slow heat if you enjoy that). Its great if you add in yellow onions,brocolli, or red bell pepper. I find it works best with Cod because it breaks apart easily when cooked. Made this for Christmas Eve dinner and enjoyed it. I will definitely make this again.